This week, I was in the supermarket and I noticed there were lots of instant cake mixes. I realised I had never actually used them, as there is a slight snobbery when it comes to using an instant cake mix. HEAVEN FORBID! I wondered if they were as terrible as they are made out to be. So I thought, well, lets compare them in a RECIPE RUMBLE! I chose Betty Crocker Instant Red Velvet, and decided to make my own Red Velvet recipe as a challenge to myself. Who will win? Check out the video at the bottom of the page to see. Preheat the oven to 150ºC. 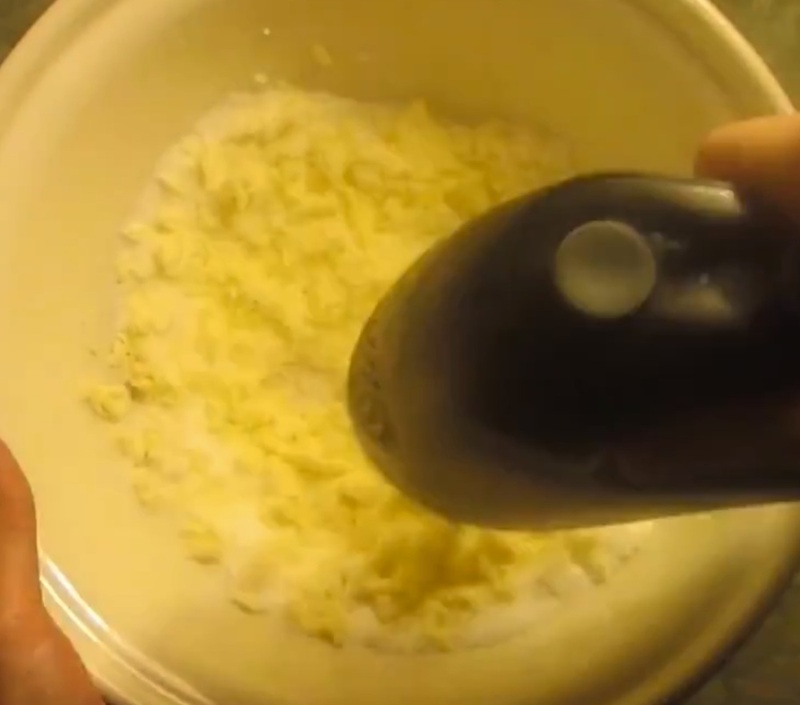 Take 150g of butter, mix in 300g of sugar. Blend in 3 eggs. 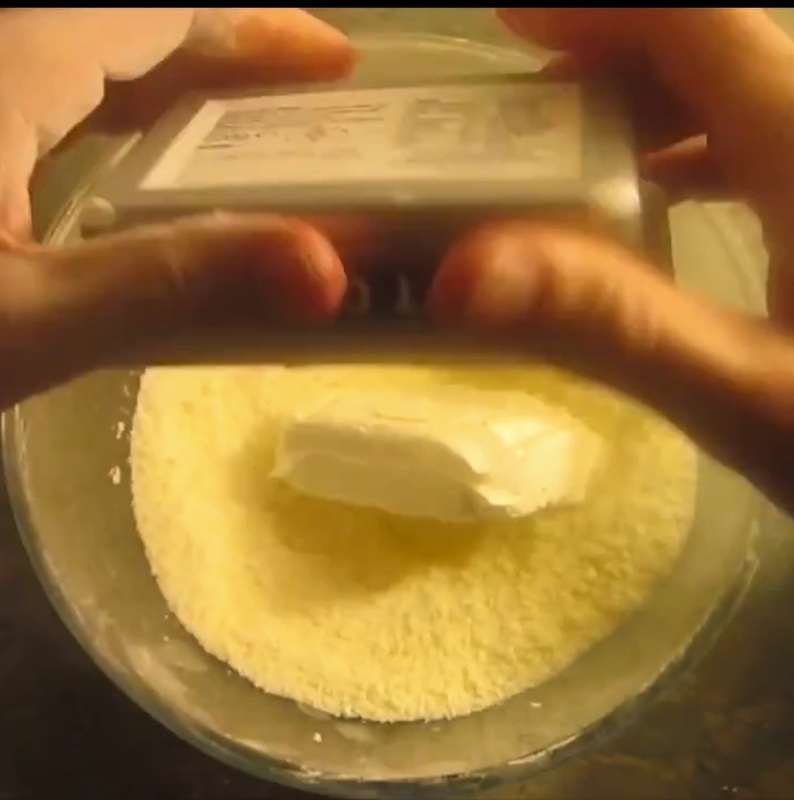 Add 300g of flour and mix gently until combined. 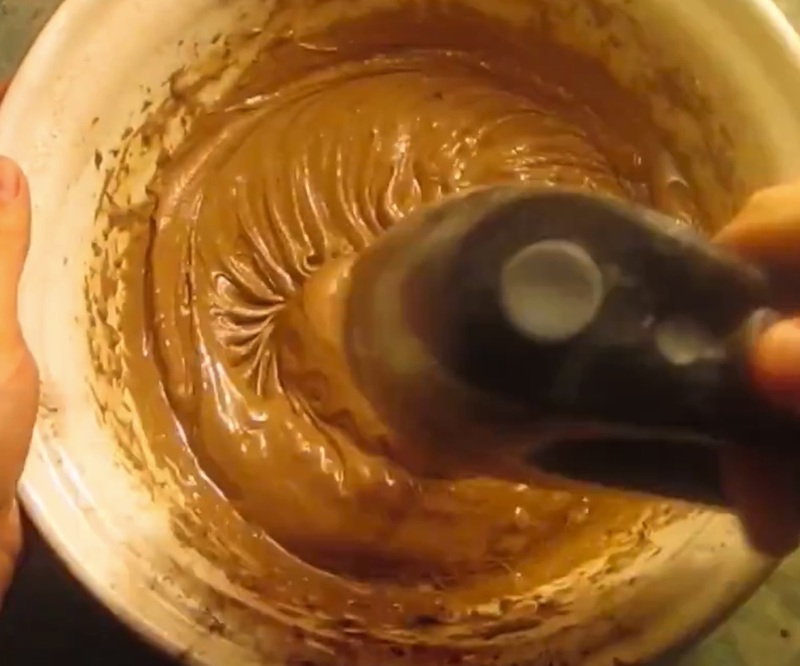 Melt 100g of dark chocolate and pour that in. Add in 2tbsp of cocoa powder. 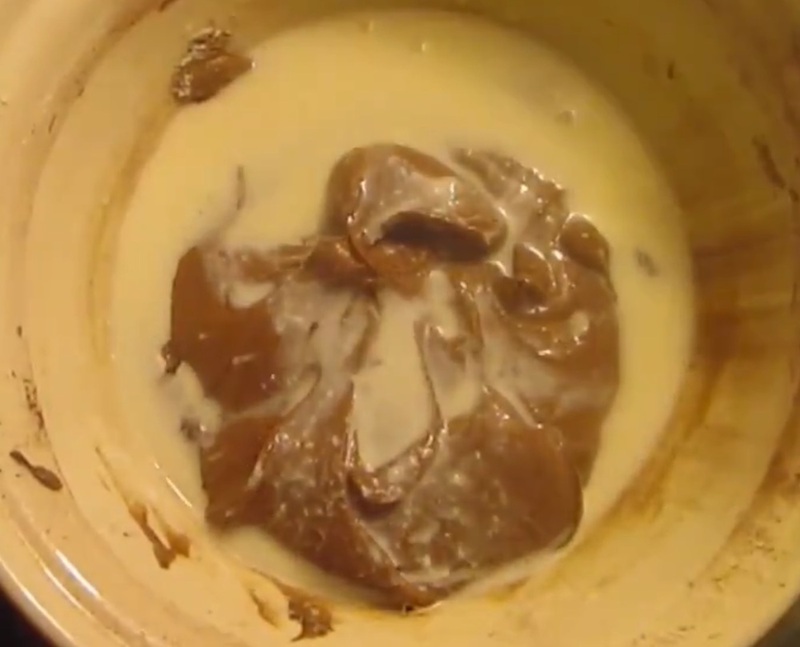 By now you have basically made a chocolate cake, so thats nice. Now add 50ml of buttermilk. To make your own buttermilk, take 1 tsp of vinegar and add it to 50ml of milk, leave for a bit until it curdles slightly. YUMMY right? Add 30ml of vegetable oil and whisk together. The mixture should be slightly runny now. Now add 2tsp vanilla extract. Mix together 1/2 tbsp of apple cider vinegar and 2 tsp of baking soda. Pour the fizzing mix in. Now add loads of red food colouring. I use ProGel as the colour is much stronger. I have tried Dr Oetker, but needed to use loads of the little red tubes and it still wasn’t red enough. 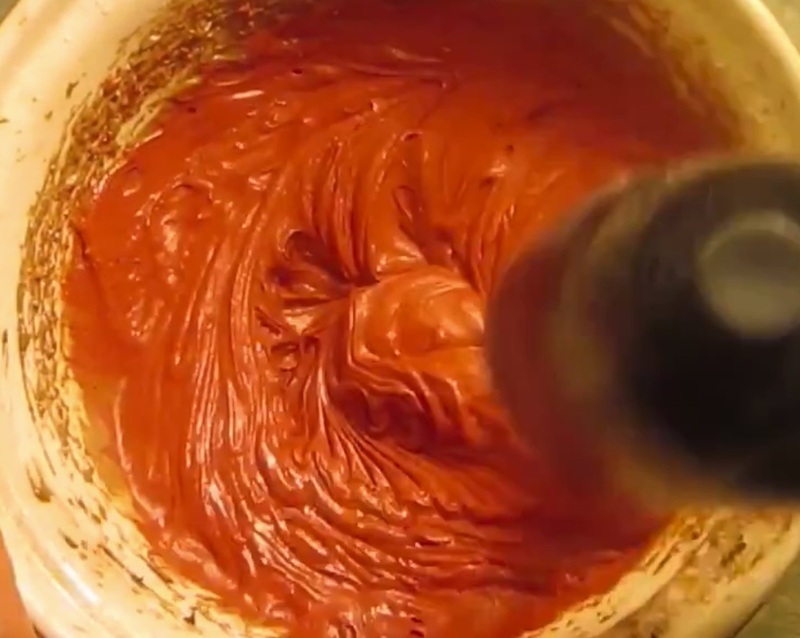 Once you have the desired red colour (it really is up to you as red velvet is such a personal colour) pre-line an 8” cake tin and pour the entire mixture into it. Pop some tinfoil on to get an even bake. I do find that it prevents everything from doming up in the middle. Bake for 60-90 mins, or until a knife comes out clean. Make sure its baked the whole way through, switch the oven off and leave to cool in the oven for 10 minutes. Take out, place onto a baking tray and leave to cool. When it has cooled, you want to half the cake. You can use a cake leveller, or just do what I do, use a bread knife and hope its flat. Now to make some Cream Cheese Frosting. Take 300g icing sugar, add 100g of butter and whisk. Then add 200g cream cheese and whisk until creamy. Add a further 300g of icing sugar to thicken up the mix. Now take whichever half you are using for the bottom, then spread a lovely thick layer of icing on the top. Place your top half on. 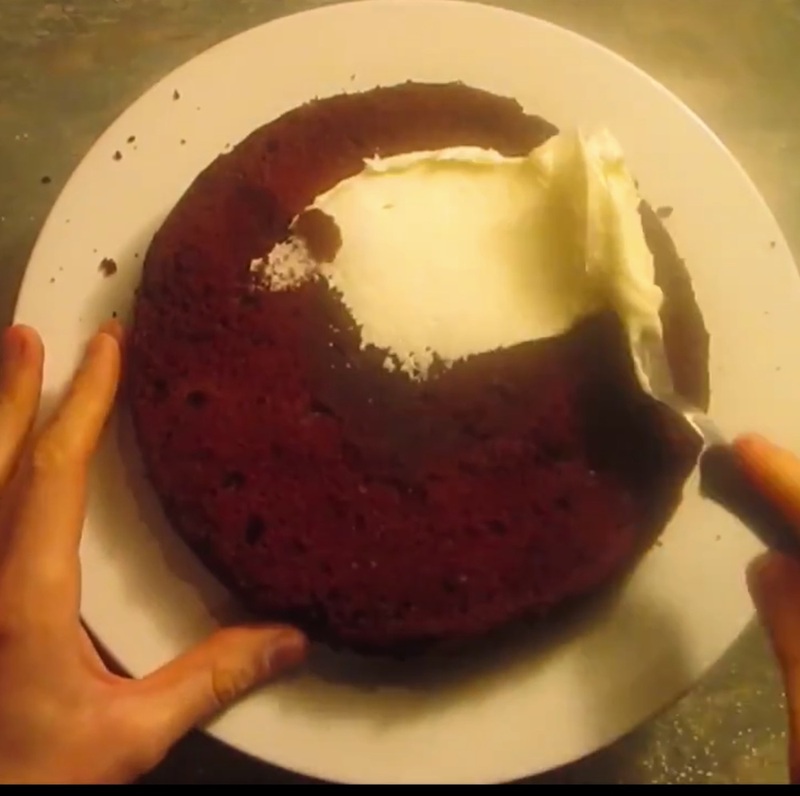 Now, smother your cake in the rest of the frosting, using the palette knife to decorate however you wish. Ta da! I hope you enjoy this recipe, let me know how you get on.